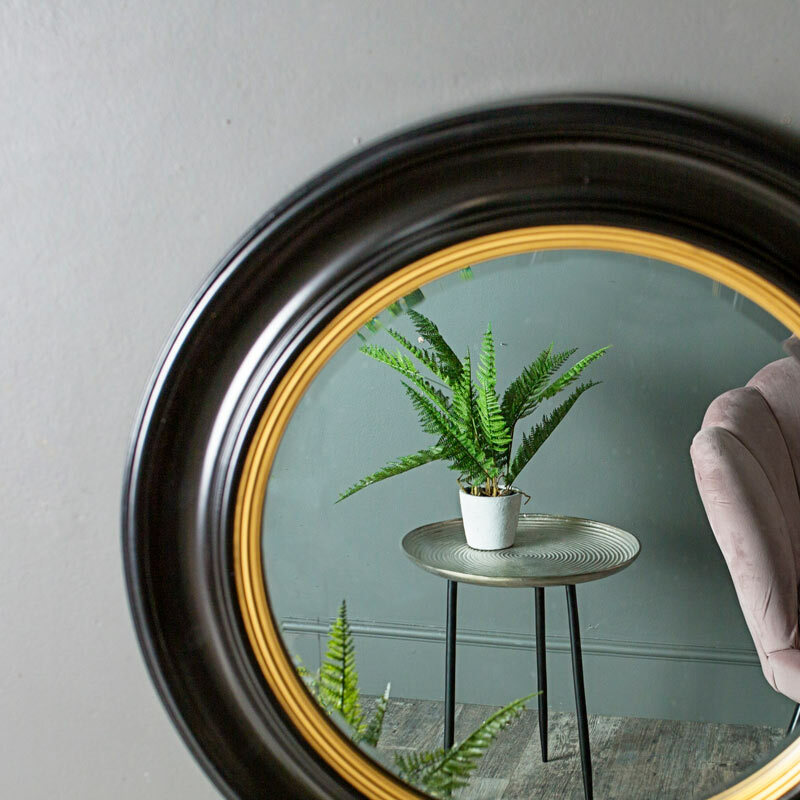 This wall mounted mirror with its striking black and gold frame is the perfect round wall mirror to hang in any room in your home from the bathroom to the living room and eve the hallway. 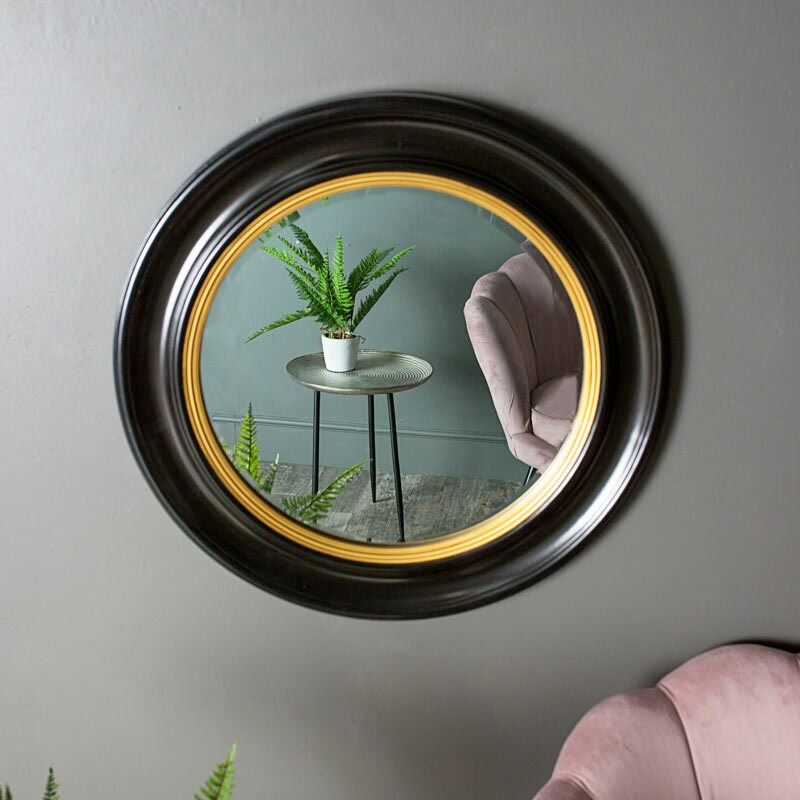 This circular mirror will add to any contemporary or traditionally vintage styled interior and will add a subtle nautical look. The bevelled mirror is surrounded by a gold trim and black frame. With a resin frame painted in black with gold inner edge. The mirror is easily wall mounted with a hook on the back for wall mounting.